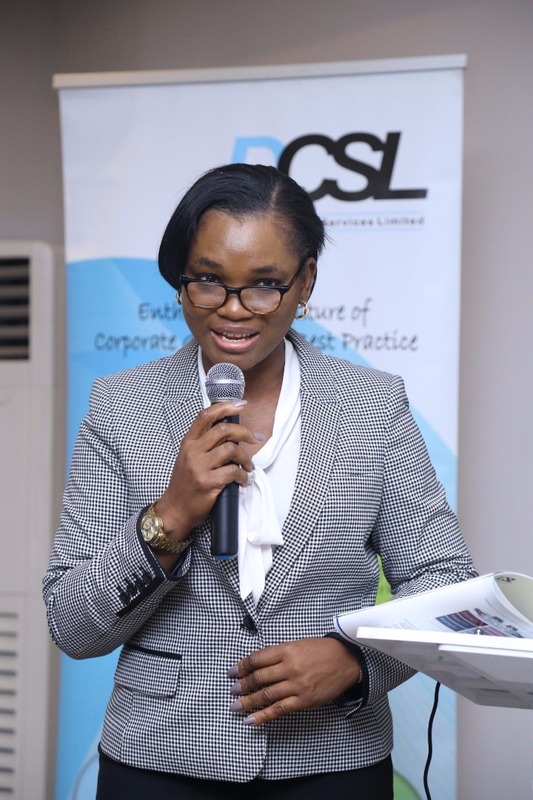 Bisi Adeyemi is the Managing Director of DCSL Corporate Services Ltd. She is a 1986 Law graduate of the Ahmadu Bello University, Zaria, was called to the Nigerian Bar in 1987 and holds an MBA from the Lagos Business School, Pan Atlantic University. Prior to joining DCSL, Bisi was the Chief Legal Officer and Company Secretary with a downstream oil and gas company. Before then, she was the General Counsel with a multinational dredging company. Bisi is a member of the International Bar Association, the Institute of Directors and a Vice President at the Nigerian British Chamber of Commerce. Bisi has attended Leadership Training at the Harvard Business School and The Wharton School, University of Pennsylvania. She has varied experience in Corporate and Commercial law practice and has worked on various assignments spanning corporate restructuring, mergers and acquisitions, board evaluation, Director up skilling and other governance engagements. Bisi is an Expert-In-Resident at the Enterprise Development Centre of the Pan Atlantic University. Bisi is passionate about Corporate Governance and facilitates Board level training on the subject.